If you haven’t managed to hit the slopes yet, now is the perfect time to head to Les Trois Vallees and Val d’Isere. There’s been a heavy snowfall over the weekend with lots of fresh powder on the mountains. Despite the snow, getting to your chosen ski resort has never been easier or more convenient, as Luxury & Services has your supercar rental needs covered with a fantastic selection of vehicles with winter tyres. Here’s the latest snow report to help you plan your week on the slopes in Courchevel, Meribel and Val d’Isere. Following on from blue skies in Courchevel on Saturday, heavy snow on Sunday meant whiteout weather but great skiing once it cleared. The resort has been enjoying some incredible conditions on and off-piste this month and that looks set to continue throughout the week. Snow will fall every day with the heaviest expected midweek and good conditions should prevail at the weekend too. Temperatures will hover around zero but fall sharply on Wednesday followed by sunny days at the end of the week. After heavy snowfall this weekend, the skiers of Meribel have another 6 days of snow to look forward to. The next few days will see temperatures drop below freezing with up to 26cm of snow and strong winds expected on Tuesday night. An accumulative 56cm of fresh snow is forecast throughout week. Conditions are powdery on-piste, but off-piste they’ve become tracked. All lifts are currently open. Once again in Val d'Isere the resounding theme of the weekend has been snow and lots of it! Conditions have been great for skiing with clear blue skies and plenty of powder. Another 90cm is expected during the week. The snow depth is currently 114 cm at the base and 215 cm at the summit, with most of the lifts and trails open. The heaviest snow is set to fall on Tuesday with around 20cm expected, followed by lighter snow until Friday and a midweek temperature drop to between -10 and -15°C. 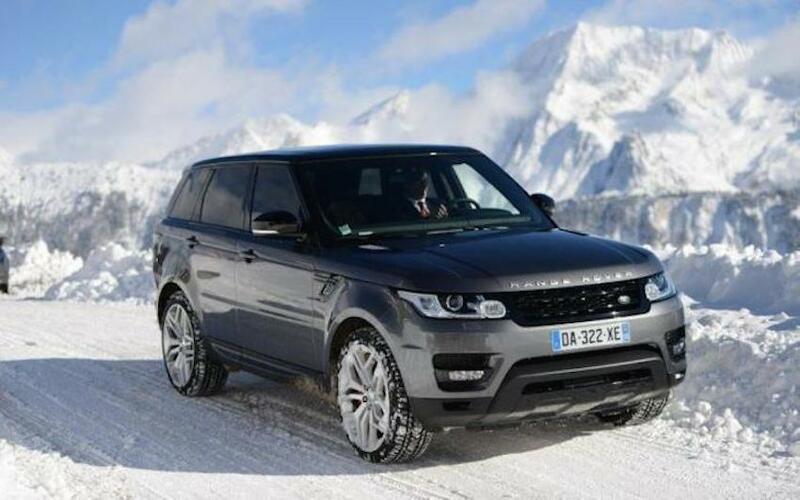 Luxury & Service's exclusive range of SUVs and 4x4 offer the perfect way to conquer the potentially hazardous roads. Drive in comfort, safety and style to your ski resort destination. We recommend the Range Rover Sport SVR or the Porsche Cayenne Turbo. If you’re interested in a winter supercar rental to traverse the snow-covered mountain passes, please make a request and let us know the exact model of car you require and the drop off and delivery points. We offer both self-drive and chauffeur driven services with an efficient, friendly service. Please note: Mountain weather is extremely dynamic and these forecasts are just a general indicator of what to expect. Snow Forecasts beyond two days ahead are subject to significant change and variable reliability, so make sure you check current conditions online regularly.